The circle of life spares no one. Nature's innate purpose is to remove the old and withered and replace it with the new and budding. Naturally, this applies to the Pakistani Cricket Team as well. Over the past 3 years, the Pakistani team has gone through monumental changes in its core structure and power hierarchy. We've seen the 3 biggest characters of Pakistan cricket (Shahid Afridi, Younis Khan and Misbah-ul-Haq) depart from each format of the game one by one. With each player's departure comes a void which can only able to be sealed by players capable of leading the team forward and working well as a unit to overcome any obstacle present ahead of them. This current lot of players, led by Sarfaraz, seems to have finally broken through the shackles of the cricket of the early 2000s and modernised their approach to the game, and it would serve Pakistan well if they stick to this approach. Pakistan will go into the 5 match ODI series against Zimbabwe brimming with confidence, and why shouldn't they be? They go into the series having just conquered Australia and Zimbabwe in a very competitive T20I tri-series in which they lost just one match and with their fantastic performance in the final game, they would now be on cloud nine. The 16-man squad selected for this ODI series is arguably very close to a full-strength squad, with the world's number 2 ODI batsman Babar Azam making a comeback to his best format after suffering an injury in May against England. Babar will be looking to pile on the runs once again, as a relatively weak opposition like Zimbabwe should mean that he would want to take full advantage of the circumstances and get back to scoring runs before the tougher series against South Africa and Australia later in the year. Pakistan will be happy with their top order, as most of them have been reliably scoring runs in the past couple of months. Imam-ul-Haq is likely to partner Fakhar Zaman at the top of the order, as he's easily the most successful opening partner Fakhar has had in the recent past. If Fakhar will be fiery hot, Imam will look to play an icy-cold role, as he has shown that he has the temperament to pull the brakes and play longer innings when required. Speaking of Fakhar, how do you define a character like him? How do you assign tags to someone so different to his constituents that it's much more than the sum of its parts? Pakistani batsmen of late are known to belong to 2 different school of thoughts. One of them is the esteemed yet controversial "tuk-tuk" school of Misbah-ul-Haq, the one which houses some of the greatest Test batsmen to have played for Pakistan. Misbah-ul-Haq would arguably be the headmaster, whilst Azhar Ali would be his best disciple. The penalty for performing at a consistent albeit slow rate is that monikers such as "tuk-tuk" are assigned to such dependable batsmen. On the other hand, is the fireworks inspired Shahid Afridi college of "boom boom", where flair and raw bravado take precedence over actual cricketing skill. These sorts of cricketers are still able to win their team games, but the probability of their presence having an adverse effect is much higher. Fakhar might be the first Pakistani batsman who bucks this trend of modern Pakistani batsmen and seems to have qualities that are best of both worlds. He has enough skill to display his natural flair and dynamism whilst playing long innings that wouldn't bore you. His flamboyance and desire to score runs against all sorts of oppositions when the pressure is cranked up and the situation asks for it is unseen in the Pakistani batting side in the past couple years. He is what happens when you take the talent that so many Pakistani openers of yore have had and pair it up with an acutely aware cricketing brain. Expect him to climb up the ODI batting charts if he performs at a similar level as he did in the tri-series. Haris Sohail might be an unfortunate victim of the desire for stability in the top order, as his performance in the tri-series wasn't very inspiring. It is likely that the think-tank would be tempted to shuffle him in the batting order for experimental purposes, but this would be unfair to him and could further impact his game. Shoaib Malik will go into the series as calm and collected as ever; a few crucial knocks in the tri-series meant he was Pakistan's second-highest run-scorer behind Fakhar Zaman. His role in the side is pivotal, and if partnered up with Asif Ali down the order, could mean that we have two batsmen able to dynamically shift gears towards the end of the innings. Asif Ali, for his part, could well be the answer to Pakistan’s woes when it comes to a lack of firepower for the final overs of LOIs. He had an impressive showing in the tri-series where he treated fans with a belligerent display of sheer power and expressed his hitting ability as he whacked bowlers around the park. Pakistan should look to play him in every game if they really want to experiment with the best batting order they can go forth with in the 2019 World Cup. The most questionable selection in the squad in many minds is Mohammad Hafeez, who seems to find a way back into the team whenever he is forced out of it. Having cleared his bowling test, he is eligible to bowl for Pakistan, but how effective he will be is something that only time will tell. He doesn't make the side based on one facet of the game, so if he is picked, it will most likely be due to his all-round ability and experience that he brings to the side. One truly hopes that Mickey Arthur and co. are willing to try youngsters ahead of Hafeez who is indeed in the twilight of his career. This leaves us with the man at the helm who prefers to lead by command than to lead by example. Sarfaraz will be looking to silence his critics and score some much-needed runs that he hasn't been able to do ever since he has taken over the captaincy. He seems to be on an upward swing at the moment as he scored some useful runs in the tri-series. To Sarfaraz's credit, he has done well when it comes to captaincy and wicket-keeping, but he will be aiming to score a couple of fifties to get back to the days of when he was deemed as our best LOI batsman. Besides, Sarfaraz performing well with the bat would mean that the team's morale would be raised even more, as there is no better way to lead than to lead by example. Bowling has historically been Pakistan's stronger suit and should still be the case in this series. The star bowlers Hasan Ali and Mohammad Amir will still be featuring in the team, but Pakistan would be naive to play each of them for more than 2 or 3 games. What Pakistan should look to do is to rotate their bowlers to provide a chance for a definitive 3rd or even 4th seamer that can serve Pakistan well in the middle overs. Junaid Khan will be a man on a mission, as he has finally made a comeback to the national side after many months due to injury. He was a pivotal part of the team that won the Champions Trophy last year and will be looking to reclaim his spot as the third seamer, but he faces stiff competition from the likes of Faheem Ashraf and Usman Khan Shinwari. Faheem has been a well-established part of Pakistan's LOI setup in the past few months, primarily due to his all-round cricketing skills rather than expertise in just one facet alone. The spin department also seems to be varied this time around, as star Test bowler Yasir Shah will bolster the spin department with his bulk of experience and sly variations. Mohammad Nawaz can also prove to be a handy player in the middle overs with his variations, but he is undoubtedly the player least likely to get a game in the series. He is, for all intents and purposes, a bits and pieces cricketer who is better served in the T20 format, but if given the chance could impress us down the batting order. Shadab Khan, likely to be happy with his performance in the final of the tri-series, will look to continue to keep his name in the wickets column. However, I wouldn’t be surprised if he is rested to give some of the other players a chance to make their case for a spot in the team. Individual performances aside, Pakistan will look to win each of the 5 games and whitewash Zimbabwe, as the host team’s preparation has been marred by wage disputes, resulting in a lot of their key players missing from the squad. Players like Sikander Raza will be deeply missed by the Zimbabweans, but they will look to make the best of a bad situation. This series will give Zimbabwe the opportunity to try out new and inexperienced players but the fact that they won't be playing in the 2019 World Cup will mean any talented player in the home-side won't have the global stage next year to show off his talent. 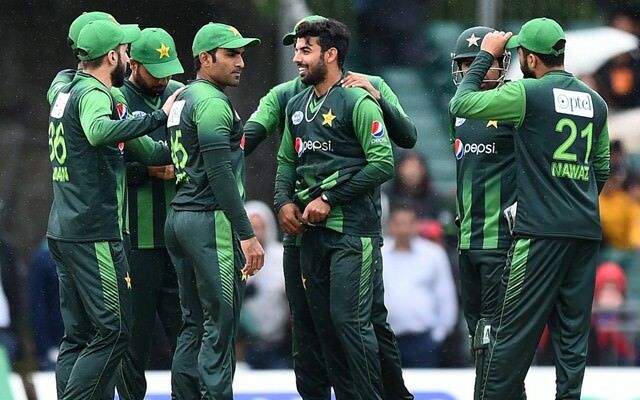 Whilst the home-side will be ruing their exclusion from ICC’s mega event as a further setback for their standing in world cricket, Pakistan will be looking to strengthen their case for favourites in the 2019 World Cup with a comprehensive series victory over the hosts.